When anti-semitism is the workers struggle, we see good old-fashioned anti-Semitism. Norwegian unions demand a boycot of israel and cutting the ties with Histradrut, the union of Israeli workers. A movement who copies the deceived unions in Nazi-Germany. Opposition to Israel takes relatively much space in the Norwegian public debate. Not least take the big place in the Norwegian labor movement big day. It will now be okay. Wherever I disagree is in a lot of criticism of Israel. I personally miss the passionate slogans against those responsible for the non-democratic regimes in Syria, North Korea, China, Russia, Saudi Arabia, to name a few countries may be my problem. But it now emerges as a nascent nationwide “claim” to boycott democracy Israel is far beyond my comprehension. “Arbeit macht frei” was a derailment technique. I would like to know what killing of European Jews in 2015 is for a kind of derailment tactics? “This is the essence of good old-fashioned anti-Semitism. And conspiratorial group thinking. Which, incidentally, is diametrically opposite of solidarity struggle and labor movement. It is a disgrace. 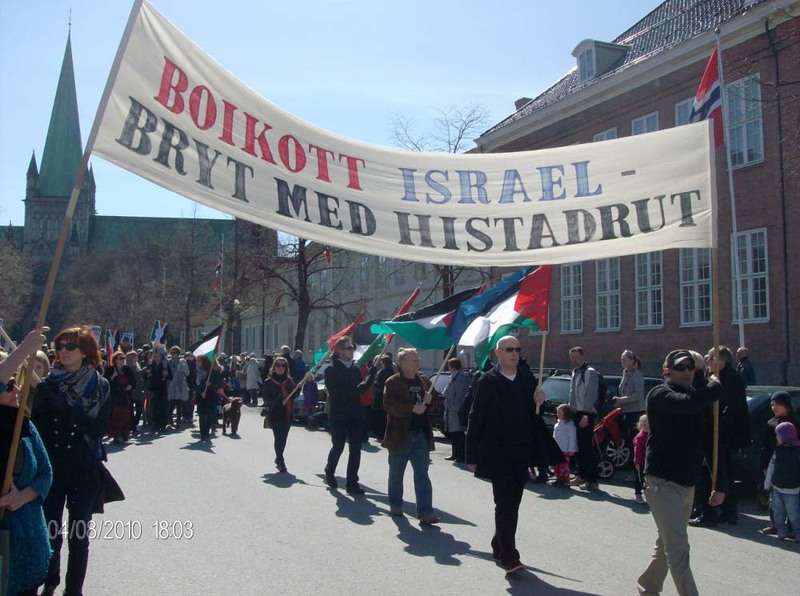 The Norwegian unions targets Israel in their May day parade. The only nation in the Middle East where the workers are organized in function unions. The socialists targets a nation where salary-payouts and working contracts are regulated in the laws and honored by all. Who do the Norwegian unions support in their campaign against Israeli workers? The Islamic terror organization al-Fatah, who is also called the PLO. They hail an Arabian partner who has no respect for any of the rights the unions in Israel have secured for its members. A partner who has no plans of establishing democratic rights and defend the interest of political and religious minorities. Who execute political opponents, and treat demands of equality between men and women with contempt. Where did the socialists unions in Norway go wrong? They commit the same mistakes as the German unions in 1932 and 1933. They walked into the trap of the anti-Zionists, the same kind of people who govern the Labor party in Norway. They have been tricked to hate the Jews, and become supporters of a similar movement as the National Socialistic party of Hitler. Todays unions in Norway copy the Nazis, and present the Jews as the troublemakers that needs to be boycotted and put in their place. Do not support this kind of movements. They are on their way to the seat of judgment and eternal destruction. May Jesus the Messiah have mercy on all deceived souls. Amen. If we believe the Word then we should expect this sort of activity. Also you say ‘they’ are on their way to the seat of judgement. We are all going to stand before that seat of judgement and we will all have to answer for ourselves. The activity you bring to our attention is a ‘sign of the times’. For nation will rise against nation, brother against brother. Of course this is nothing new. Hitler made out that the Jews were the problem that needed to be solved. The problem is humanity has turned away from God. And so God will turn away from humanity.